Do Baby Boomers stand apart as America’s entrepreneurial generation? Will the number and success of American startup companies decrease as Baby Boomers retire? A recent study released by the Ewing Marion Kauffman Foundation says not necessarily. Many economists are concerned about the future of small businesses as Baby Boomers begin to move out of the workforce. The Baby Boomer generation is defined by those born between 1946 and 1964, and is known to have catalyzed the information technology revolution. Their cohort comprises an extremely large workforce, and disproportionately represents the total number of small business owners in the United States. 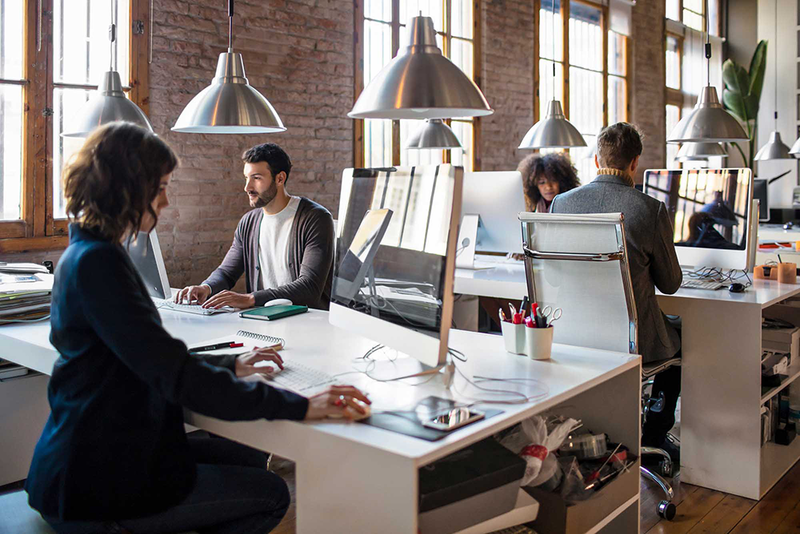 The fear is that Millennials (those born between 1981 and 1997) will not be able to mirror the small business growth of their predecessors, and the number of startups will decrease along with their likelihood of success in the coming decades. Financially, the first 3 quarters of 2014 saw more venture capital investment than any single year since 2001. And new startups are being valued at higher amounts than ever before. These are both positive indicators for future business development. In aggregate, age is correlated with likelihood to start a business. 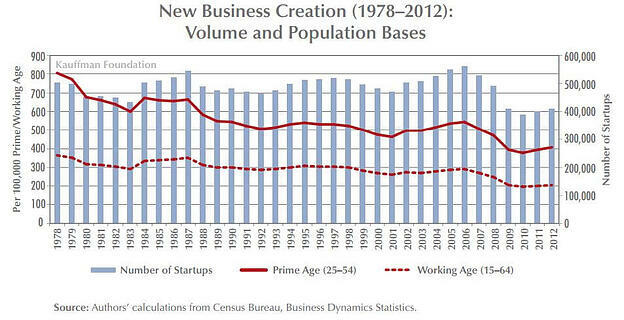 This means that one indicator for future small business growth is generational cohort size and age. The Kauffman Foundation has found that first time entrepreneurs are likely to be around 40 years old and serial entrepreneurs in their 50s. If age is a predictor of entrepreneurship, will Millennials pursue their own startups and small businesses in the coming decades? This generation is a product of the IT revolution, and has experienced near-ubiquitous exposure to entrepreneurship. Millennials are more educated than any other generation, and those aged 20-24 are now the largest cohort size in the United States, displacing Baby Boomers for the first time. However, Millennials are saddled with unprecedented amounts college debt, only worsened by their entrance into the workforce during the Great Recession. Prohibitive quantities of debt raise concerns about their willingness to assume the risk of starting a small business. There are conflicting small business growth indicators which some take as the mark of the end of an era, and others see as the beginning of a renaissance. However it is clear that the future actions of the aging Baby Boomers and the emerging Millennials will be the biggest demographic forces shaping the U.S. economy. Do you think Millennials will be as entrepreneurial as the Baby Boomer generation? Leave a comment or a question below!